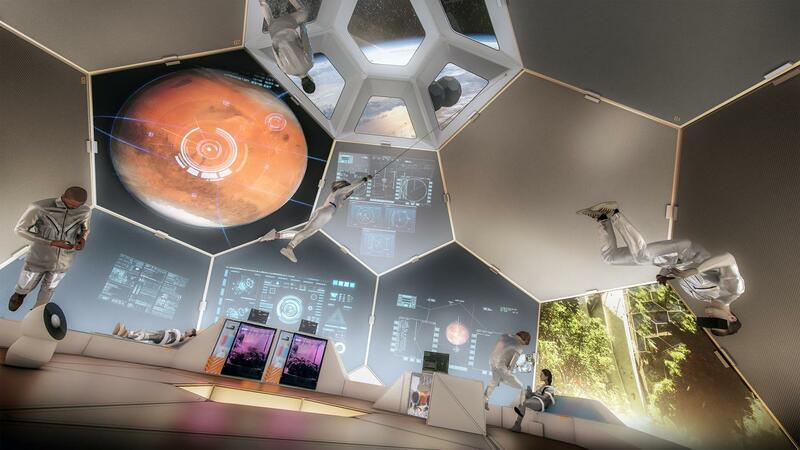 The future of human habitation in space, from Low Earth Orbit (LEO) to planetary systems far beyond, lies in self-assembling, adaptive, and reconfigurable structures. Rather than transporting the weight of gantries and risking astronaut Extravehicular Activities (EVAs), we can lower payload weight, reduce assembly complexity, and revolutionize space-structure modularity by relying on these new paradigms of construction and structure deployment. 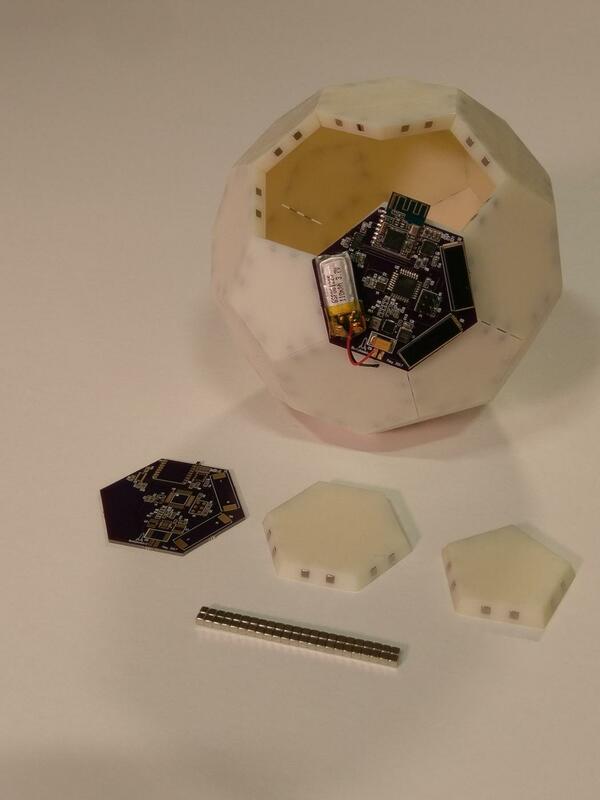 This project proposes a multi-year research effort to study, characterize, and prototype TESSERAE: Tessellated Electromagnetic Space Structures for the Exploration of Reconfigurable, Adaptive Environments. 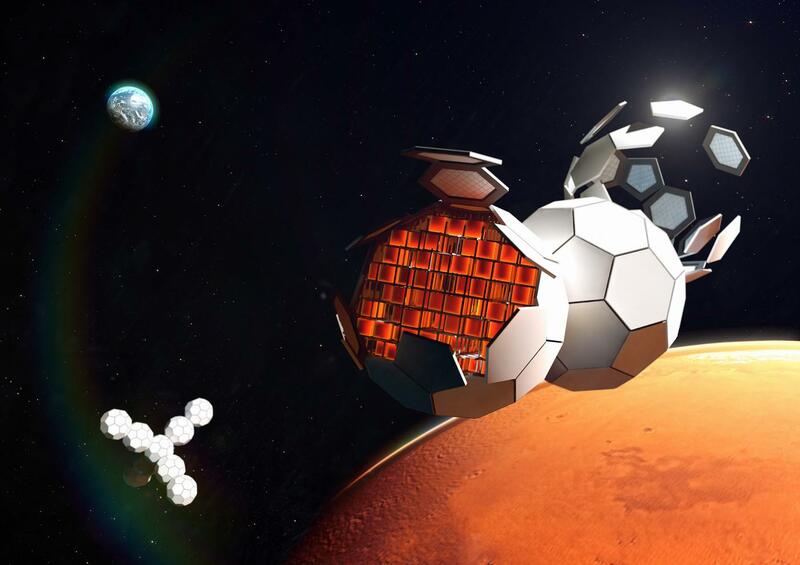 TESSERAE will function as multi-use, low-cost orbiting modules, that supply a critical space infrastructure for the next generation of zero gravity habitats, science labs, staging areas for on-surface exploration, and more. Unlike large-scale habitats proposed for entire space colonies, the TESSERAE should be thought of as flexible and reconfigurable modules to aid in agile mission operations. Our mission concept focuses on supporting Lunar and Mars surface operations, with multiple, interlocking TESSERAE acting as an orbiting base, in addition to supporting the coming waves of space tourists in Low Earth Orbit. An early TESSERAE prototype was successfully deployed on the Space Exploration Initiative's November 2017 zero gravity flight. This research mission validated the v1 mechanical structure, magnet polarity, and self-assembly protocol. An upcoming deployment on Blue Origin's suborbital launch platform will test the embedded sensor network, communication architecture between tiles, and additional parameters for self-assembly. Venkatapathy, Aswin, Ariel Ekblaw, Michael ten Hompel, and Joseph Paradiso. “Decentralized brain in low data-rate, low power networks for collaborative manoeuvres in space.” To appear in Wireless for Space and Extreme Environments (WiSEE), 2018 IEEE International Conference. Ekblaw, Ariel, and Joseph Paradiso. "TESSERAE: self-assembling shell structures for space exploration." In Proceedings of the Annual Symposium of the International Association of Shell and Spatial Structures, p. 317. 2018. Coverage @TNW2018: "Making Star Wars a Reality through Design Thinking"
Image in collaboration with Ariel Ekblaw, Responsive Environments and TU Dortmund. Artist's render of TESSERAE space ship, showing active research projects from across the Media Lab & Space Exploration Initiative portfolio, in the spirit of prototyping our sci fi space future. Image courtesy of Igor Neminov.